The car commercials that ran during the Super Bowl this year were fantastic, garnering praise both on their originality, story, and impact on the audience. Car manufacturers made the impossible, possible this year through ten different commercials that ran during the four quarter of play. Audience were able to revisit Jeff Goldblum getting chased by a T-Rex, see Steven Tyler go back in time, and watch the Black Panther claw his way into a Lexus. Aerosmith, Run the Jewels, and Queen provided the soundtrack to smart writing that included poking fun at the Minnesota Vikings and remembering that on game day, your choice of religion does not prevent you from celebrating a win. Here are our three takeaways from the Super Bowl 2018 car commercials that are worth sharing . Dodge Ram spent almost $10M to air 2 commercials not counting the production and licensing costs. Producing these two commercials were expensive. Casting, location shooting, and visual effects added tens of thousands to the cost of producing the ads. When it came to the music licensing, neither commercial cut corners. Queen’s “We Will Rock You” required paid licensing approval by Sony. The Martin Luther King voice over also required approval by the MLK estate, who is well known to be very litigious and strict on the use of it’s content. Was it worth it? Mercedes Almost Skipped It… and Maybe They Should Have. Mercedes was a late entry and originally were not going to advertise this year. Following up last year’s Coen Brothers produced commercial, although well received, must have not initially returned the same ROI to justify signing on early. 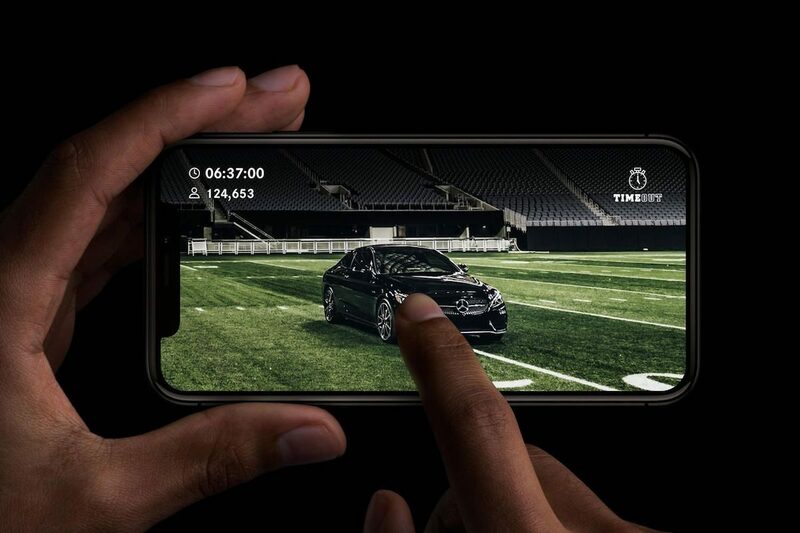 Instead they went the interactive route and roll a 30 second ad titled “Last Fan Standing” promising a new Mercedes AMG C43 Coupe to whomever could follow the virtual car with their finger for the longest amount of time as it scrolled across participants’ smartphone screens. When it came time for the content to start, it didn’t, with technical difficulties to blame for the delay. Mercedes were unable to fix it and had to resort to a simple drawing of pick the winner. Good News: The Mercedes-AMG Is Still In Play. Bad News: Our Enthusiasm Broke The Internet. Eligible Registrants Will Now Be Entered Into A Random Drawing To Pick A Winner. We’ll Announce Them As Soon As He/She Can Be Confirmed. Sorry Again And Thank You For Your Patience! Between the 8 major auto manufacturers who has commercials during the Super Bowl this year, nearly all of them were produced by some of the largest agencies in the world, some even representing multiple brands during this year's big game. Saatchi & Saatchi produced Toyota's two commercials in addition to all three of Tide's commercials. In addition to Kia's epic 30 second spot starring Aerosmith's Steven Tyler (One of the best of the event), Initiative also helped make Turbo Tax's 30 second spot, "The Thing Under The Bed". 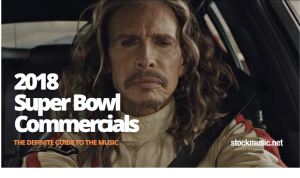 Check out our entire breakdown of Super Bowl Commercials as well as Super Bowl Halftime Commercials: It's All About The Music. Visit stockmusic.net to prepare and purchase music and sound effects for your next project. For over 14 years we have been a destination for producers and advertisers because of our extensive catalog of music and industry proven licenses. Music Is Made to Capture Moments. We have made it our goal to provide premium music that supports every type of project or event in life.